Lewis DeSoto was born in Bloemfontein, South Africa, to a family that arrived from Europe in the eighteenth century.He emigrated with his family to Canada in the 1960s, where he attended UBC and was awarded a Masters degree in Fine Art. He has exhibited paintings in public and private galleries across Canada. DeSoto's short stories and essays have been published in numerous journals and he was awarded the Writers Union Short Prose Award. The former editor of the Literary Review of Canada, DeSoto is married to the artist Gunilla Josephson and divides his time between Toronto and Normandy. 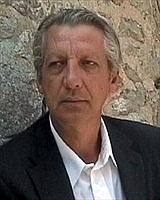 Lewis Desoto is currently considered a "single author." If one or more works are by a distinct, homonymous authors, go ahead and split the author. Lewis Desoto is composed of 2 names. You can examine and separate out names.